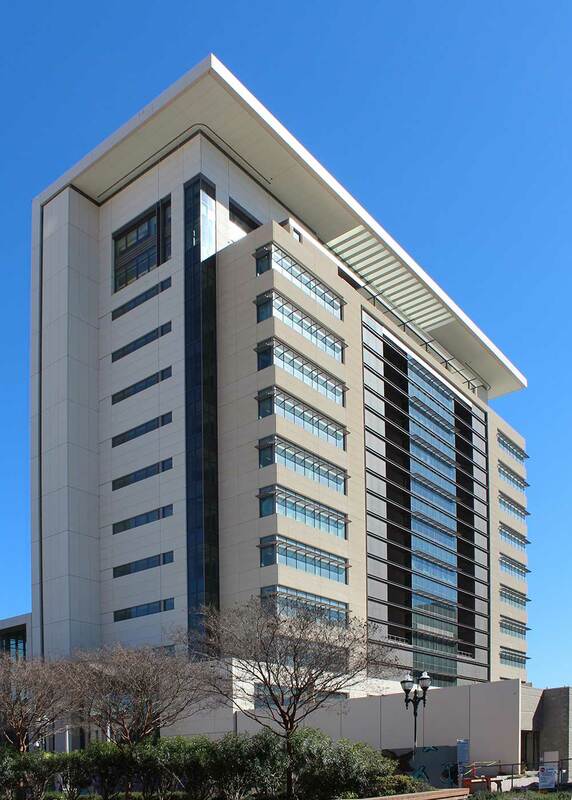 Architectural Precast balances the prestige of a traditional courthouse with the modern requirements of a high-rise structure. 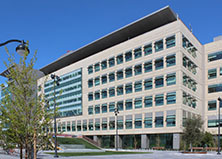 The new courthouse has dramatically changed the face of downtown Stockton, adding modern architecture to an area dominated by older buildings. 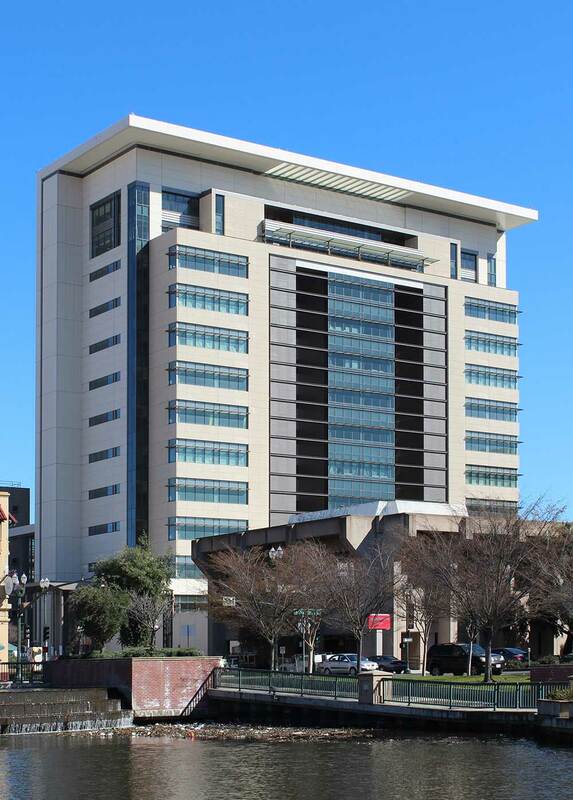 The new structure is now the tallest building in San Joaquin County. 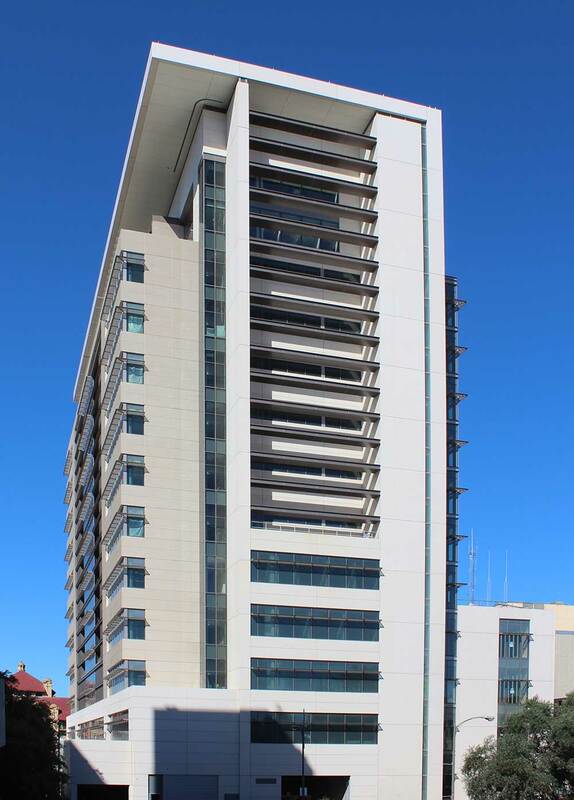 The 13-story tower, designed to accommodate four courtrooms on each floor, is composed in three layers; glazed public galleries facing east overlooking the city, courtrooms at the heart of the building and the judges’ chambers to the west. A specific exterior architectural representation is assigned to each layer to clearly communicate the complex internal functions to the public. The courtrooms, with windows allowing filtered natural light to their interior and the chambers, are clad with a white colored precast concrete. The courtroom waiting galleries are expressed as a large bay window attached to polished white precast. 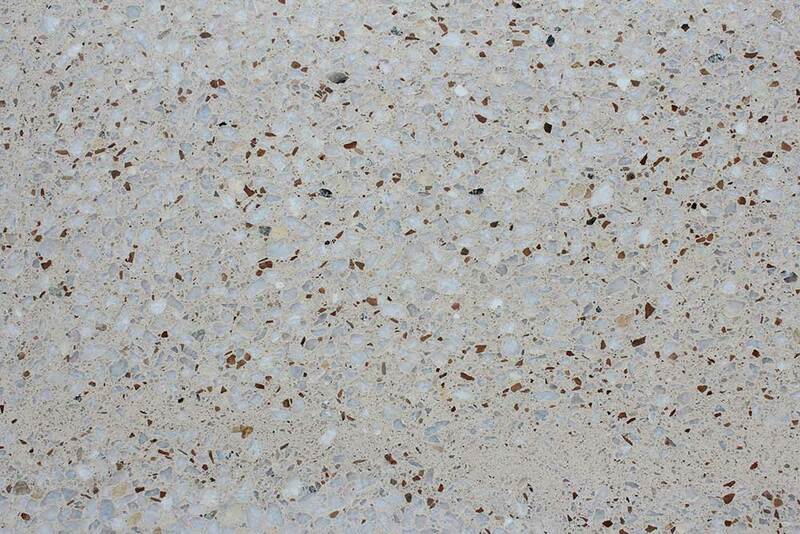 The original design was to have all exterior hard surfaces as polished granite. 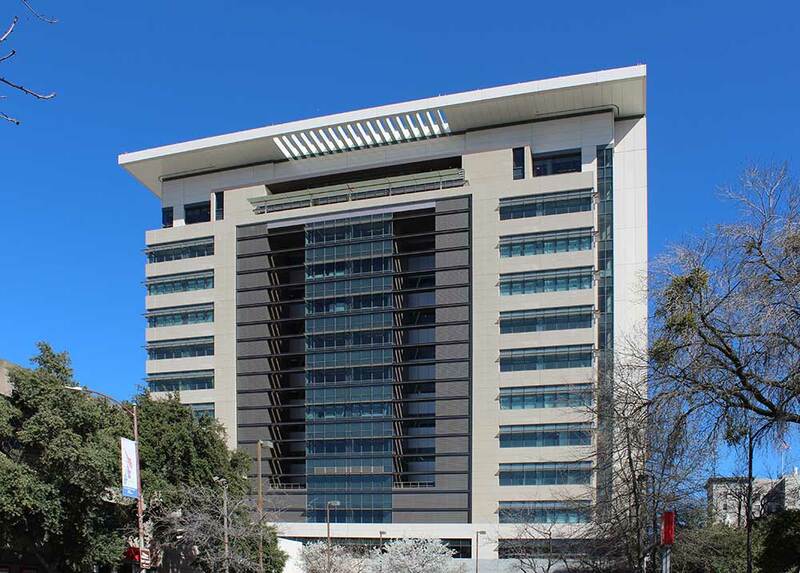 It proved to be more cost effective to use polished architectural precast in selected areas as opposed to the traditional granite on precast for the entire project. 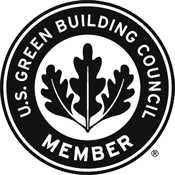 The majority of the architectural precast was treated with a light sandblast finish. A horizontal ribbed form liner was used for the panels that frame the vertical curtain wall on the west side of the building.